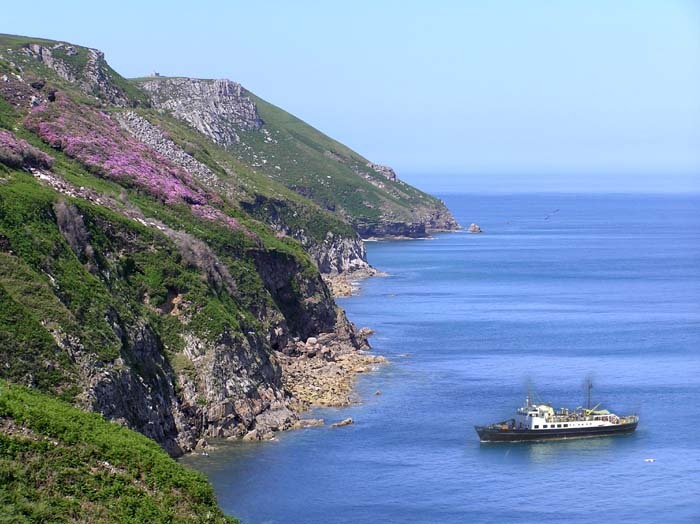 Lundy Island is one of the islands in the Bristol Channel, UK. 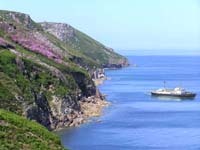 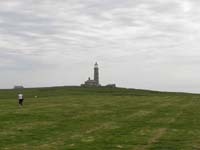 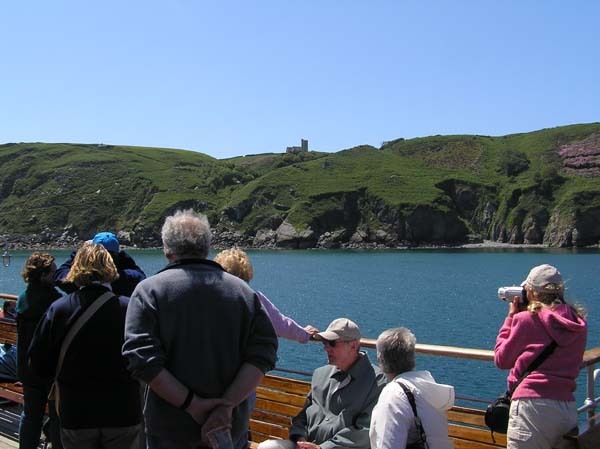 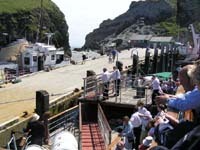 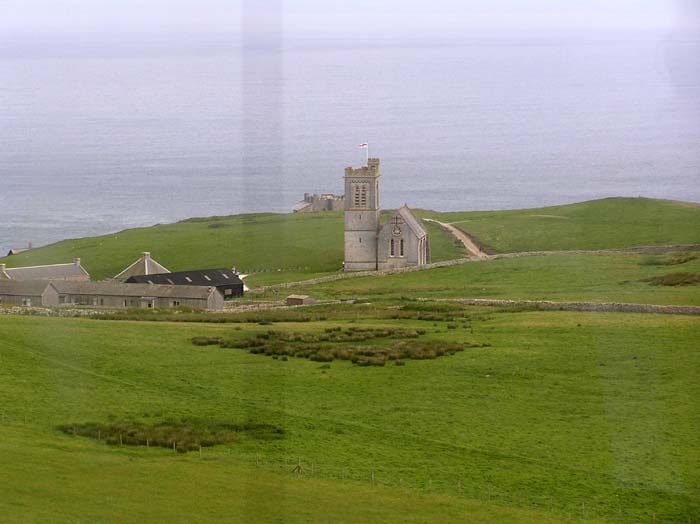 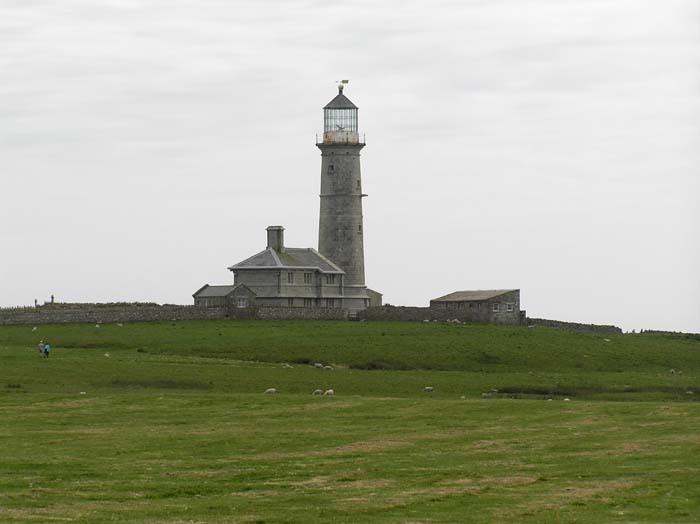 Much further down the Bristol Channel than Steep Holm and Flat Holm, Lundy Island is also much bigger than the two Holm Islands at roughly three miles long by half a mile wide. 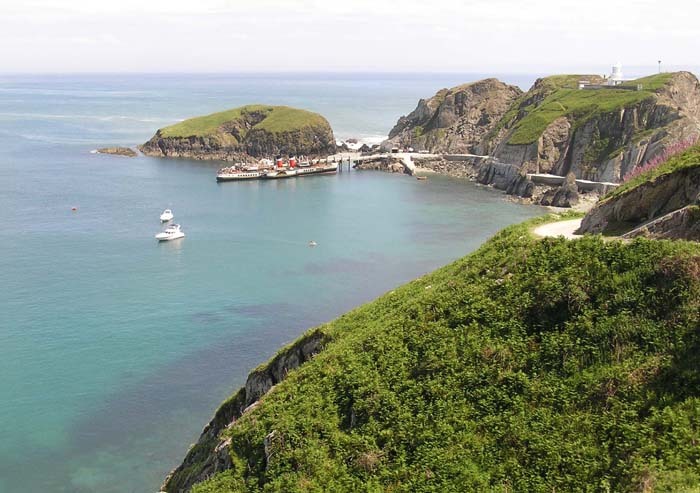 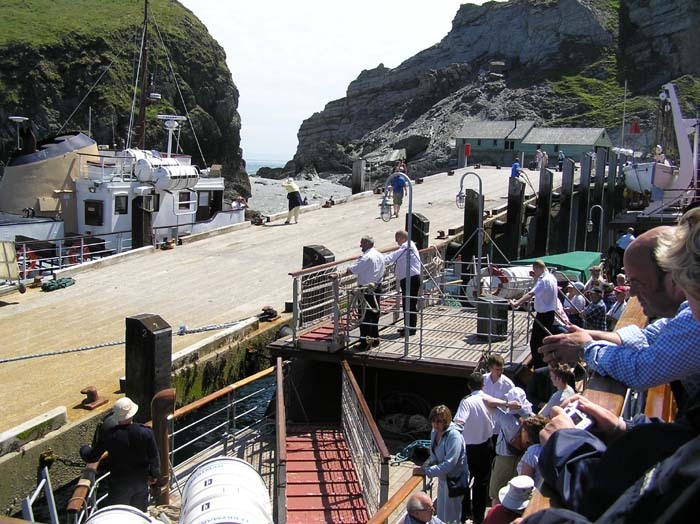 It's roughly 12 miles off the North Devon Coast and rises about 400 feet above sea level. 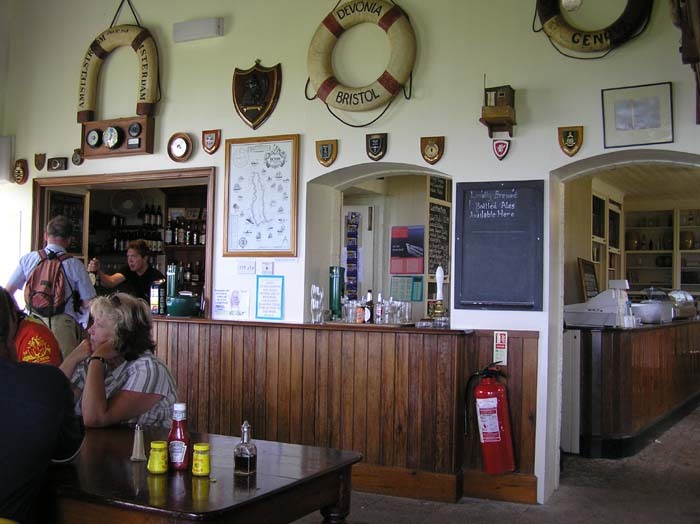 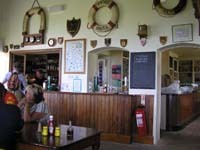 Although it has no wartime or military remains, it more than makes up for this by the presence of a pub, the Marisco tavern which, as well as providing much needed refreshment after a walk around the island, also has an interesting collection of nautical nick nacks from the many wrecks which have occurred over the years. 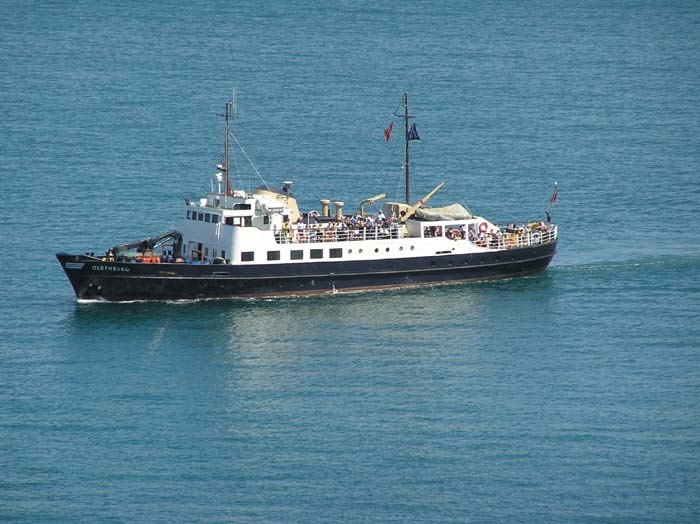 The island belongs to the National Trust and can be reached from Bideford or Ilfracombe on the MV Oldenburg or via a helicopter if you're in a hurry or feeling flush. 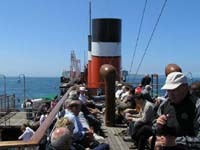 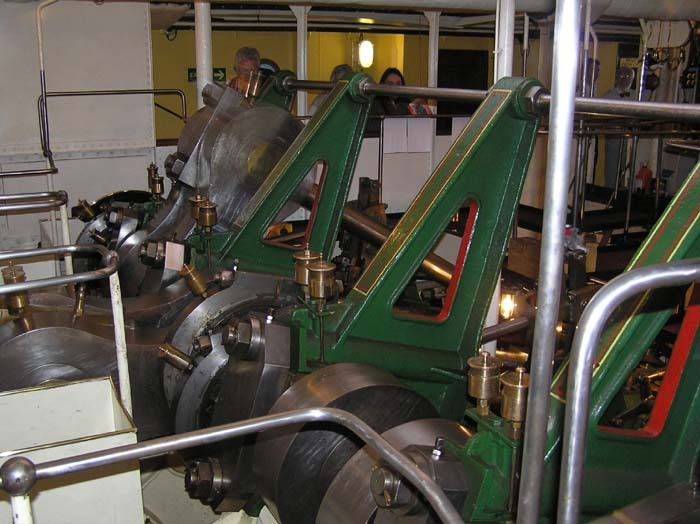 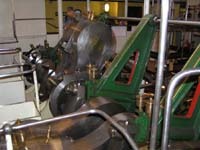 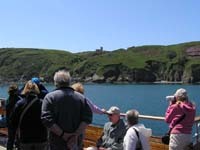 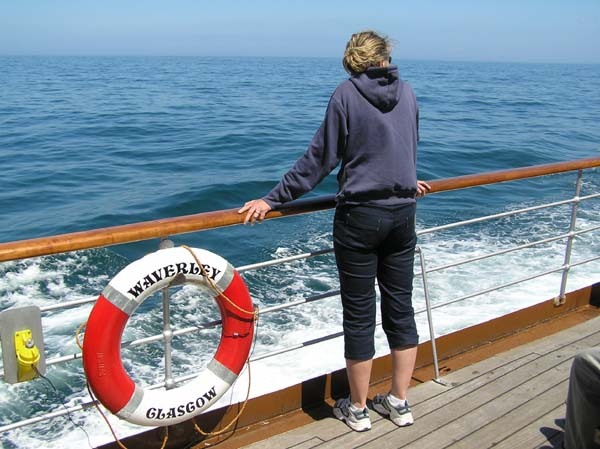 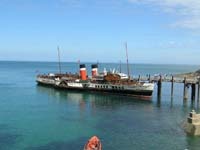 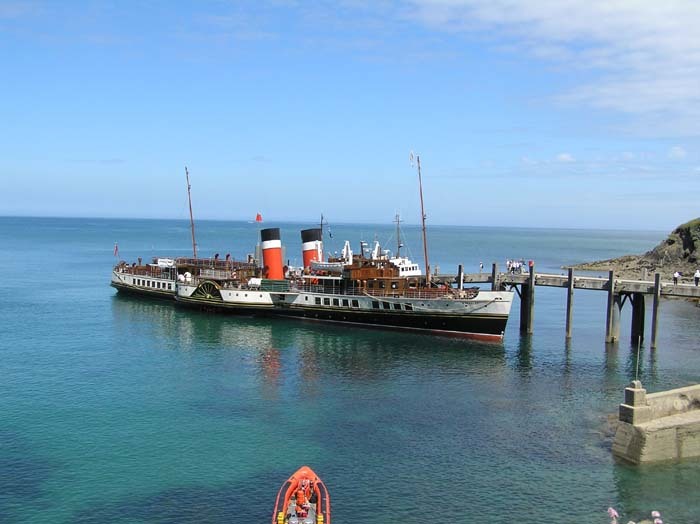 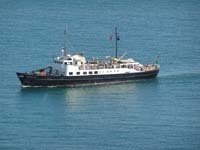 Our visit was in June 2006 from Penarth near Cardiff, travelling on the historic paddle steamer Waverley. 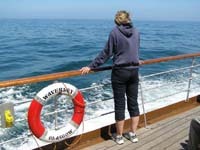 As the pictures show, the weather was perfect with scarcely a ripple on the usually choppy Bristol Channel. 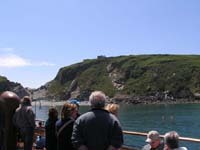 It's a steep walk up to the main part of the island from the jetty. 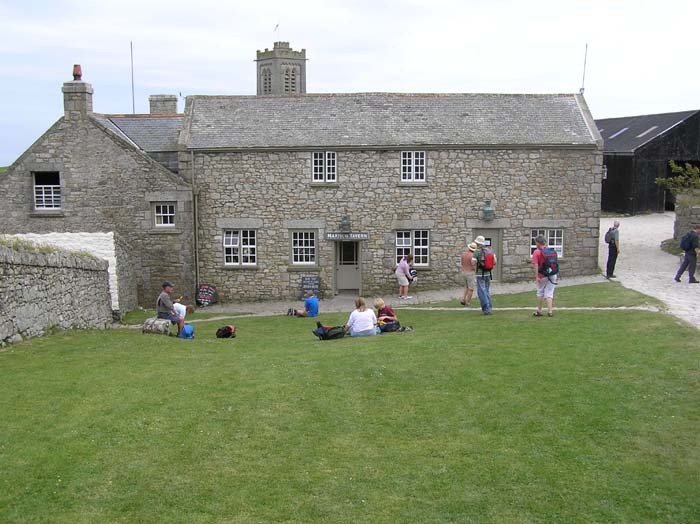 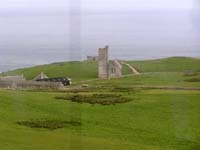 At the top, theres a small group of houses clustered in best English tradition around the church and pub and paths lead off to all parts of the island. 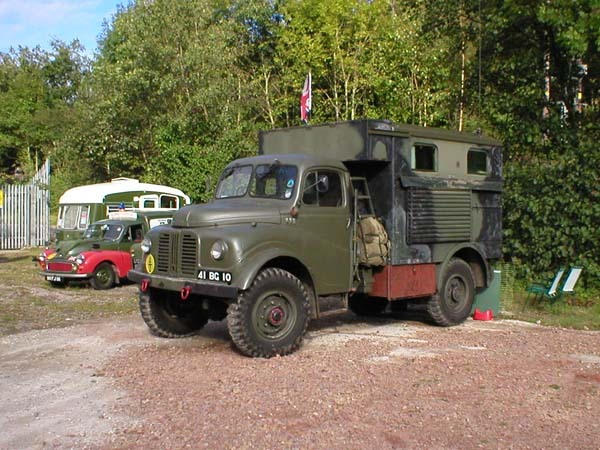 There are a number of cottages which are available to rent (book in advance) and a campsite if you're on a budget.